Have you even wondered what a full-time author’s world looks like? Let’s just say it’s different than someone who can put in their hours and walk away without thinking about their job 24/7. I’m not like that. I have trouble tucking my work away because I have annoying characters who just HAVE to tell their story, even when I’m washing dishes or doing laundry. Book deadlines have often lead me to many late nights and some overnights. When I’m nearing The End, I’ve been known to go on very little sleep. And these days it’s not all about writing, either. Publishers expect authors to market their own books and stay in the public light. That means keeping up with social media (which I have to admit is my favorite part—I love interacting on Facebook and Twitter) and writing blogs, as well as participating in Facebook parties and other marketing avenues. So my writing day is not 9 to 5. Getting my brand (yeah, that would be me) and my books in front of readers is like a second job. But most of all, the writing process itself never leaves me. Even if I’m not in front of my computer, I’m thinking about that hole in my plot, or developing characters for my next novel. My brain Never. Shuts. Down. I even dream about my books. When I’m on vacation, I’m scouting settings and people-watching. Some days I want to throw up my hands and go put in an application at Taco Bell. Work my eight hours and go home with nothing on my mind, not thinking about work at all. What gifts has God given you? Are you using them to fill the world with Christ’s love? 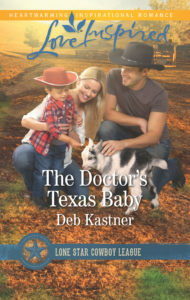 Deb Kastner’s next book, The Doctor’s Texas Baby, will be on the shelves January 20th. When Carolina Mason shows up in Haven, Texas, after a three-year absence, no one is more surprised than town veterinarian Wyatt Harrow. Especially when he sees Carolina’s two-year-old son, Matty. Their son. How could she have kept his child a secret? Carolina doesn’t deny the boy is his. She thought she was doing what was best for everyone when she left, but she realizes she was wrong. Though Wyatt is eager to make up for lost time with Matty, Carolina’s not so sure that extends to her. Can these former sweethearts navigate their complicated past to make a family for their son? Still, I can`t see myself not doing research and teaching grads/undergrads as much as I can about the beauty of science and how we can use methods and statistics in our favor. The more I think about it, the more I realize teaching is a gift. Last semester I was rewarded with a great group of students that were active participating in class (and they rewarded me by asking for elective courses because they really like my teaching). It`s a great encouragement to continue to move, even when other parts or my work are not so up there (I really need to get published my work that has been finished and “just” needs writing). What an interesting look into academia. Teaching really is a gift. Happy New Year! Deb, hope you feel better soon. As a retired high school teacher, I can relate to thinking about my job 24/7. When preparing lesson, I often taught them in my sleep. So often living on 4 hours sleep. My mind never shut down – not even on breaks, thinking how to help students, the next lesson, the lesson I was teaching, researching a new idea. Now I sometimes read a good book half the night. Or think about writing book reviews. Now I use my talents caring for my three grandkids – before and after school, and I have been caring for my 3 year old granddaughter since she was 3 months old. I am getting ready to go to their house in the next hour. We are anxiously awaiting the birth of granddaughter Seeley Rose, mid January. I will also be daily caring for her. My daughter in law is an elementary school principal. Best wishes and may you feel better soon. Happy writing. I love taking care of my grandkids–well, my grandson, now that my granddaughter lives so far away. It’s a real blessing! Happy New Year, Deb! 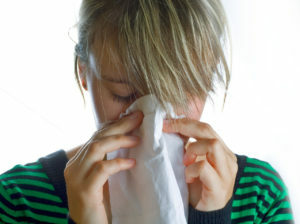 I pray that nasty virus you have will depart sooner rather than later. The writing life is a delicate balance between working 24/7 and giving yourself a break to recharge. I hope you’ll find time to slow down a bit and “smell the roses” even in the midst of winter and chaos. May the Lord bless your day! Hi Barbara. I wish I could figure out how to turn my mind off. 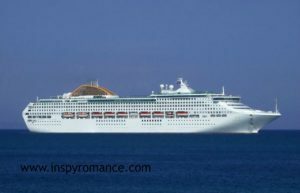 I’m going on a cruise with The Texas Tenors in a month and that’s ALL I want to be thinking about. Rest, relaxation, and awesome music. I an so relate! I finished a first draft on Dec 23 and was determined to take the rest of the year off. Eight days! I couldn’t do it. Every time the house was quiet I found myself poking at character work for my next story, or poking at my website, or poking at upcoming blog posts. Hope you feel better soon, Dec. No fun having The Crud. It’s just a writer thing, isn’t it, Valerie. Even when I try, I fail. Even when I say I’m “completely burned out,” I end up with a pen and a notebook, scribbling ideas. How comforting to know that I’m not alone. I’ve tried to take breaks, but I feel as though I’m wasting time. I hope you feel better soon, Deb! Deb, hope you are feeling better soon. “Have computer. Will travel,” is my motto. A second mind is always helpful when we get stuck. Happy New Year! I am a recently retired special education teacher. For thirty years I thought about my job 24/7, so I “get” you! !